As we know, wine is popular. What most of us don't realize is just how popular wine has always been. Did you know that wine jars buried with Tutankhamen were labeled with such detail that they could meet today's wine labeling laws? There's much more, so read on. I am indebted to the website Random History for these fascinating facts about wine. 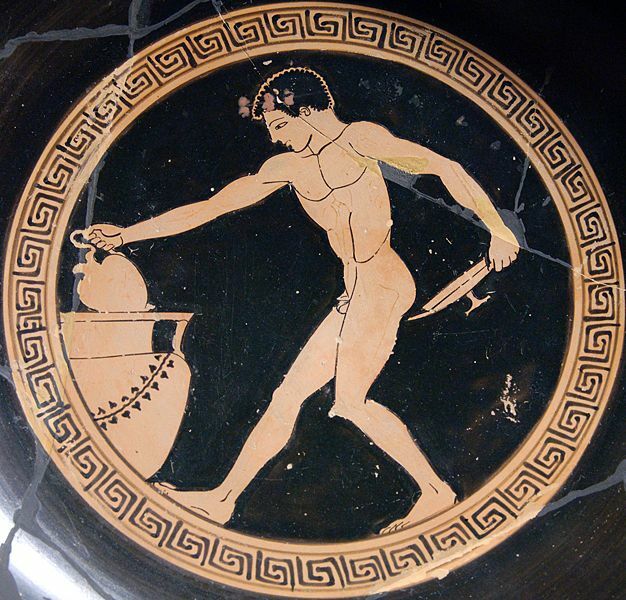 The standard wine container of the ancient world was the amphora (something which can be carried by two), a clay vase with two handles. It was invented by the Canaanites, who introduced it into Egypt before the fifteenth century B.C. Their forebears, the Phoenicians, spread its use throughout the Mediterranean. Wine facilitated contacts between ancient cultures, providing the motive and means of trade. For example, the Greeks traded wine for precious metals, and the Romans traded wine for slaves. Archaeologists found grape pips (seeds), usually considered evidence of winemaking, dating from 8000 B.C. in Turkey, Syria, Lebanon, and Jordan. The oldest pips of cultivated vines were found in (then Soviet) Georgia from 7000-5000 B.C. In ancient Egypt, the ability to store wine until maturity was considered alchemy and was the privilege of only the pharaohs. 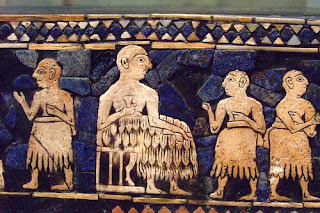 Winemaking is a significant theme in one of the oldest literary works known, the Epic of Gilgamesh. The divinity in charge of the wine was the goddess Siduri, whose depiction suggests a symbolic association between wine and fertility. One of the most quoted legends about the discovery of wine is the story of Jamsheed, a semi-mythical Persian king (who may have been Noah). A woman of his harem tried to take her life with fermented grapes, which were thought to be poisonous. Wine was discovered when she found herself rejuvenated and lively. Romans discovered that mixing lead with wine not only helped preserve wine, but also gave it a sweet taste and succulent texture. Chronic lead poisoning has often been cited as one of the causes of the decline of Rome. The world’s oldest bottle of wine dates back to A.D. 325 and was found near the town of Speyer, Germany, inside one of two Roman sarcophaguses. It is on display at the town's Historisches Museum der Pfalz. Early Roman women were forbidden to drink wine, and a husband who found his wife drinking was at liberty to kill her. Divorce on the same grounds was last recorded in Rome in 194 B.C. “Toasting” started in ancient Rome when the Romans continued the Greek tradition but started dropping a piece of toasted bread into each wine glass to temper undesirable tastes or excessive acidity. Hippocrates, widely considered the father of medicine, includes wine in almost every one of his recorded remedies. He used it for cooling fevers, as a diuretic, as a general antiseptic, and to help convalescence.